Genius Live! is Genius Project’s social collaboration platform that takes enterprise project & portfolio management to the next level. It will empower your users by delivering a collaboration platform that will introduce powerful social media capabilities familiar to today’s information worker. With Genius Live! your organization will improve user adoption streamlining the flow of project information and increasing productivity among project teams. Powerful social collaboration tools via Genius Live! Leveraging the best in team collaboration and social media, Genius Project allows for the capturing of threaded discussions across the entire lifecycle of your project all within a single PPM software. Via the Genius Live! social collaboration platform, on every project document and record, team members can submit comments and respond to questions from stakeholders and other team members. In addition, these discussions can be made available to the entire team for documentation and feedback. 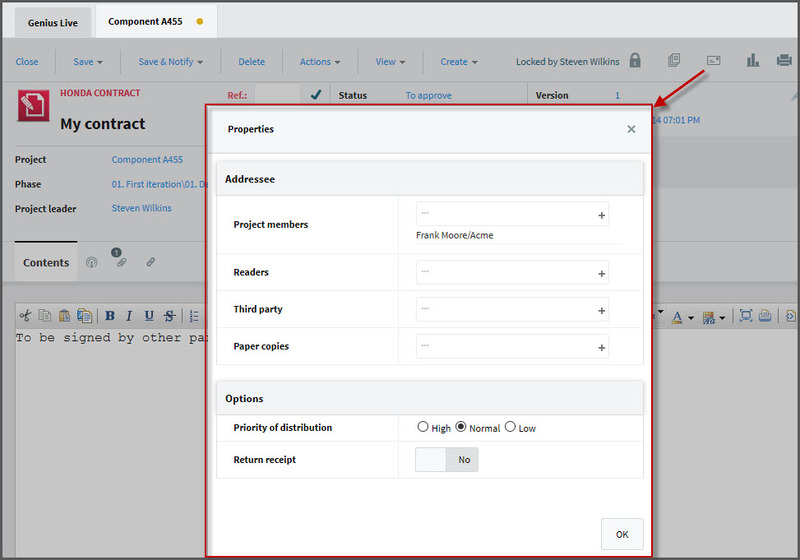 To improve communication and information sharing, distribution lists can be created for every available document type in Genius Project. As a result, with every update or newly created document, list members will receive automatic notifications. Optimizing team collaboration and social collaboration, lists can also include project team members and users outside of your organization, such as client or partners, who need to or would like to be notified of project progress and updates generated by the project management tool. This feature improves communication within project team members and with stakeholders. 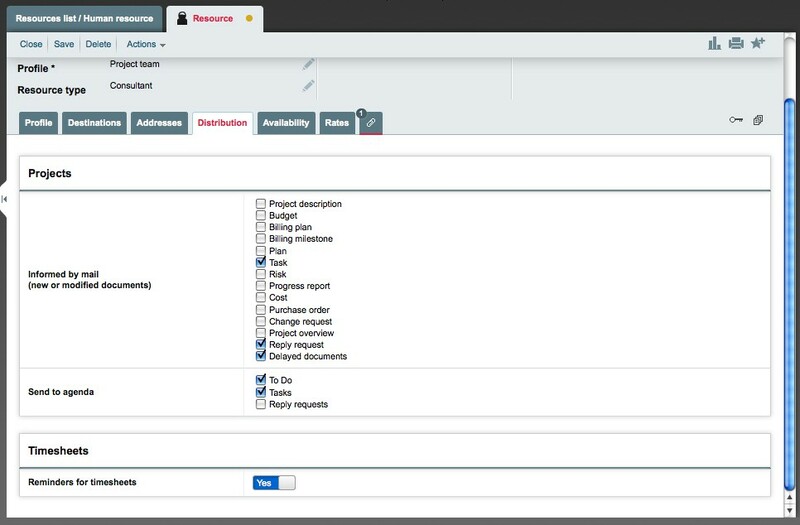 Organizations can define workflows internally in order to automate and support their business processes. They can incorporate the desired flow cycles, gates, typical phase reviews and approvals that meet their organizational requirements and stakeholder needs with the project management tool. Genius Project’s unique role based workflow engine allows for workflow management by supporting any kind of approval process and workflow from the most simple to the most complex; this can include parallel review and approval, conditional transition, automatic data and document creation. Genius Project’s automatic e-mail notification is a very popular feature among its user community as it promotes excellent communication within teams and facilitates team collaboration and information sharing. 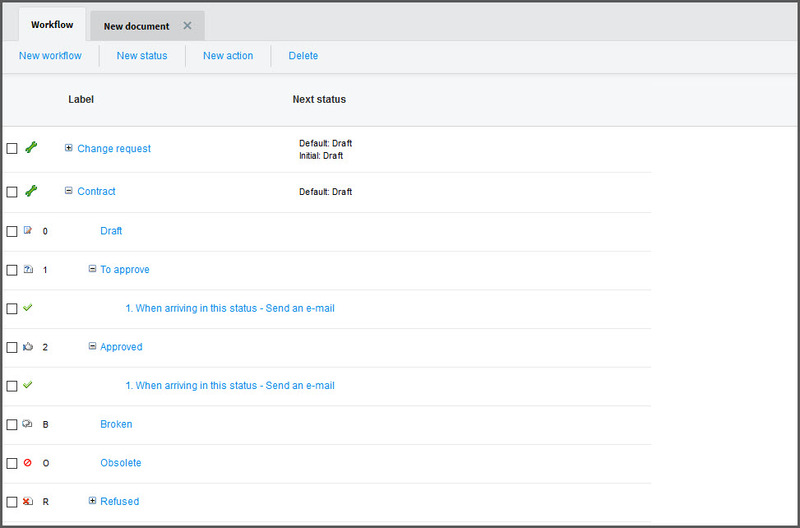 Users can elect to receive email notifications via workflow defined approval processes when they are assigned to new tasks or when any of their existing assignments (or any other kind of documents) are modified. This automatic intervention frees the project manager’s time for more important tasks. E-mail notification via Microsoft Outlook, and other web browser based email systems such as Gmail, Yahoo, Hotmail, etc. is automatic all in a single project management software! 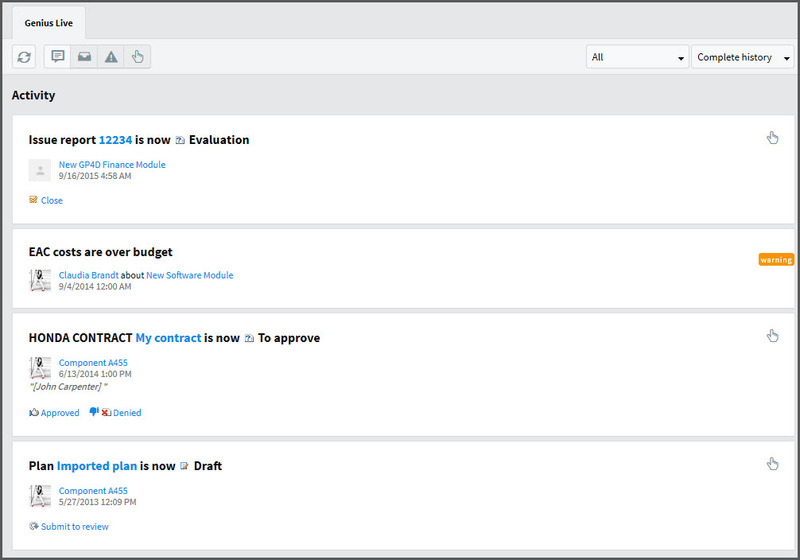 Tasks can be sent directly to IBM Lotus Notes and MS Outlook, allowing stakeholders to see project work alongside other commitments in their personal day-to-day calendar. Get your 15-day FREE trial! Test drive Genius Project and experience best-in-class portfolio and project management software.